CyclingPub.com - Mathew Hayman says farewell at the end of Tour Down Under: "I couldn't think of a better way to go out"
Mathew Hayman says farewell at the end of Tour Down Under: "I couldn't think of a better way to go out"
The last stage of the Santos Tour Down Under was also the closing of the professional career of Mitchelton-Scott's Mathew Hayman. The Australian rider had already announced that his final race would be the 2019 Tour Down Under. After 20 years in the professional peloton, Hayman's win at the 2016 Paris-Roubaix stands as the biggest victory of his career. Until the last day, the rider was a big part of his team, positioning perfectly Daryl Impey ahead of the last climb that would give him the overall win of the race. "I had very mixed emotions (up the final climb)," the Australian commented. "I was off at the bottom by myself, having a bit of a wave and started getting a bit of a frog in my throat, and then all of a sudden my mind was back on to the race and how Daryl was doing. "Next minute I had three teammates, (Alex) Edmondson, Heppy (Michael Hepburn) and Durbo (Luke Durbridge) with me and it came over the radio that he'd won and that took my mind off the retirement and reminded me this is why I do this. It's a big event, we raced all week and we needed every single one of us to be on. I couldn't think of a better way to go out, not just because we won but how we raced." Hayman had the company of his family at the side of the road on his last day as a pro. "My whole family was on the hill, I didn't know they were going to be out there, and that was really special," he explained. They are all quite emotional, but very special to have everyone come to see your last day of work. "I just held it together but probably just because I was excited about the win for Daryl and that takes the mind off it. I really reckon it'll be in a couple of week's time before it registers. It's been an emotional high all week. We needed everyone on, every day there was a plan, things to think about, so although I was being pulled in a few extra directions than normal, the number one priority was racing and it's so nice to be able to race to the death." 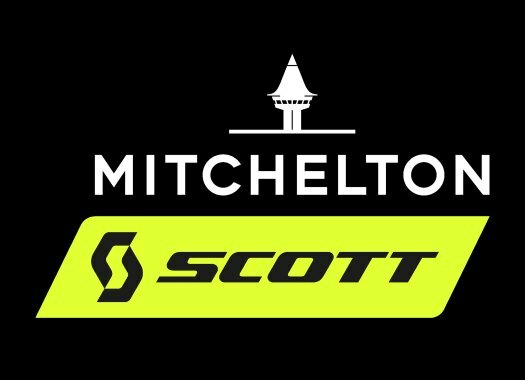 The now-former rider will continue working in Mitchelton-Scott in a variety of roles.